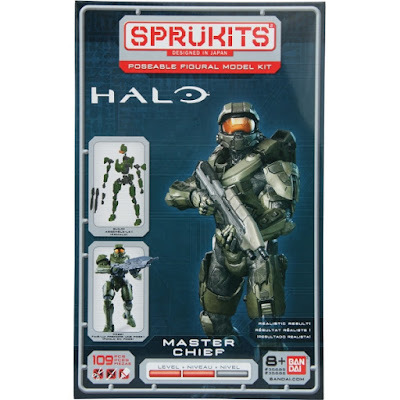 A few years ago I tried to get myself back into model making with this Sprukit of the Master Chief from Halo. The Level 2 version is pretty simple. It's only 109 pieces and took a few hours to put together. The model is made by Bandai who makes all those awesome Gundam models. Without glue and paint, I thought the finished product looked pretty good. But now I realize it looks kinda plain. The color is flat, and there's no depth to the model. So I decided to weather the Master Chief to try and make him look more interesting. Using a technique I learned online, I used some black and brown acrylic paint and just went to town on the Chief piece by piece. Then I wiped most of it away which left some grime in all the little crevices and battle damaged areas. 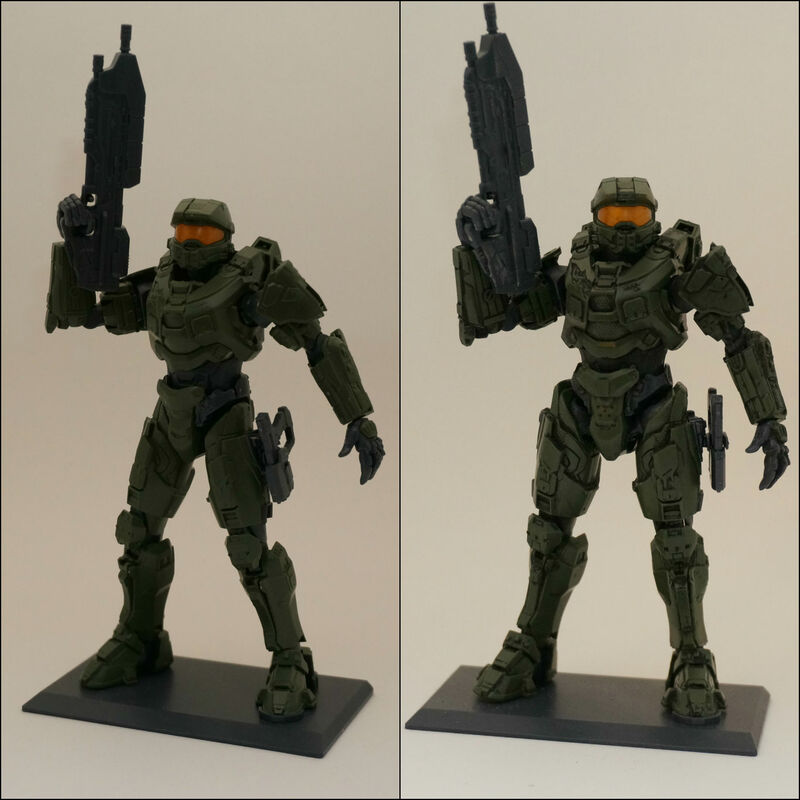 It gives the figure a lot more depth and I think it makes him look a lot more battle worn and interesting. I also dry brushed a little silver on the weapons to give them some character. And here's a side by side. I think the difference is really dramatic and I'm happy with the results. I've been a little short on time lately so this project which only took about an hour (since the model was already built) fit into my schedule. Plus, it was an easy enough model to practice weathering on.